"A great haircut, the right styling products, and a killer pair of shoes is all one needs to make a sharp statement." Redd styles heads with heart, bodies with soul, and everything in between. With worldly flavor, she combines elegance of tradition with the excitement of eclectic unique. A background in interior design and fashion feeds an innate ability to create texture and visualize silhouette. Growing up in NYC and starting her career at Mark Garrison Salon created a glamour demure in every service from razor cuts to roller sets. In 2008, Redd was the featured artist in American Salon’s "Artist of the Month" section. Her editorial work has appeared in Brides, Life and Style and More Magazines. 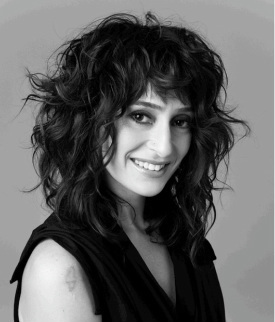 She is a senior platform artist for SHU UEMURA Art of Hair and Kérastase Paris, and has been featured multiple times at New York Fashion Week with designers such as Andy & Debb, Tommy Hilfiger, and ThreeasFOUR. The burning desire to share elegant style with passion and grace extends itself in every breath. Acutely aware of the uplifting effect a makeover can have, Redd takes great steps to serve those in need, donating her time and talent to cutting wigs for cancer patients. A consummate artist in constant growth and service, Redd continues to offer those in search of their perfect style the rare opportunity to get high fashion with lots of skill and no attitude.